Its like Christmas even in high summer when you come across an old image that’s worth processing! Happened to me here whilst going through old external hard drives. I shot this back in the winter of 2008/9, whilst exploring our local ancient graveyard in Beziers City center after first moving here from a nearby village. The moment I opened this old file I instantly saw this flat, boring snap crying out to become a gothic book cover image, just patiently waiting to be processed. 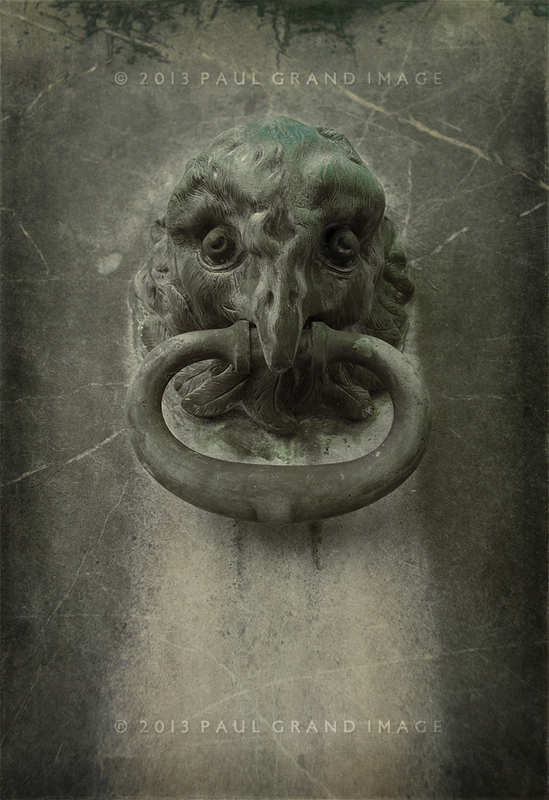 It’s serendipitous now because we’d just released Tintype Edges and Metallic Textures, both of which were heaven sent for this kind of gothic subject! Processed just using our Flypaper Textures, I tried many combinations but the two latest Fly releases won out in the end. I gently brushed away the Metallic textures from the bronze verdigris Owl to help it ‘pop out’ slightly. The final Tintype edges primarily worked by adding a soft grungy vignette and beefing up the marble background, pulling it all together and producing a heavy gothic atmosphere. Pewter and Silver Nitrate are from the Flypaper Metallic Pack, Tintype 2, 14 and 16 are from the Tintype pack. This entry was posted on Thursday, August 15th, 2013 at 10:06 am. It is filed under Blog and tagged with Flypaper Metallic, grunge, owl, Paul Grand Image, Tintype Edges. You can follow any responses to this entry through the RSS 2.0 feed.